A lovely quiet spot (despite aircraft noise of take off & landing) with well managed accommodation. Excellent pool & near beach. Lovely friendly staff and atmosphere. 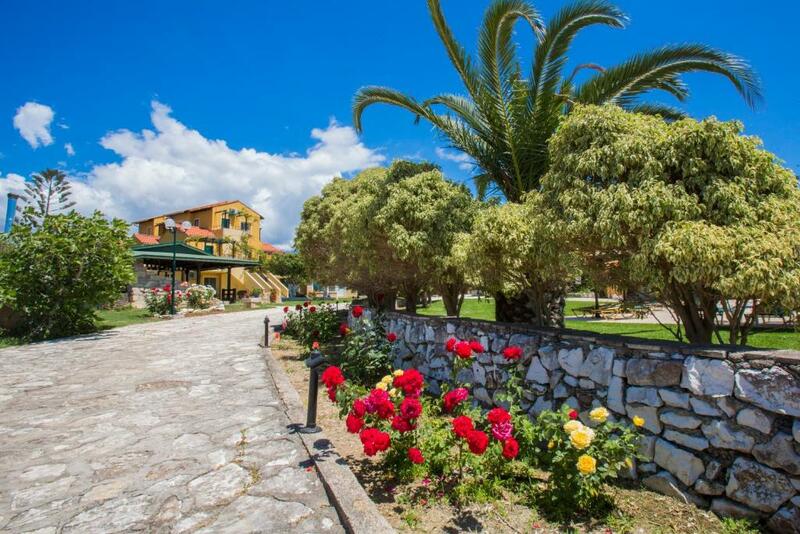 Loved everything about the property.rooms were spotless and comfortable,the grounds were stunning and the owners natassa and Mario were lovely and friendly we felt like we had known them for years .this is definitely a place we would return to and will recommend to family and friends. Very nice apartment. Owners & staff very friendly and helpful. Excellent apartments and the hosts Mario and Natasha were very welcoming and their hospitality was above and beyond expectations. We loved Marios and his family and staff. The property is beautiful and the pool is sparkling. The view from our balcony was stunning. The food is fresh and delicious! After the 'novel surprise' of actually being able to see the end of the runway from the gardens of Sandy Beach, it was easy to settle into the peaceful and beautiful surroundings of the apartments....lush grass areas, stunning flowers, pretty patios, lovely pool area, and all of this surrounded by olive groves, orange and lemon trees, clucking hens and background mountains - proper Greece! 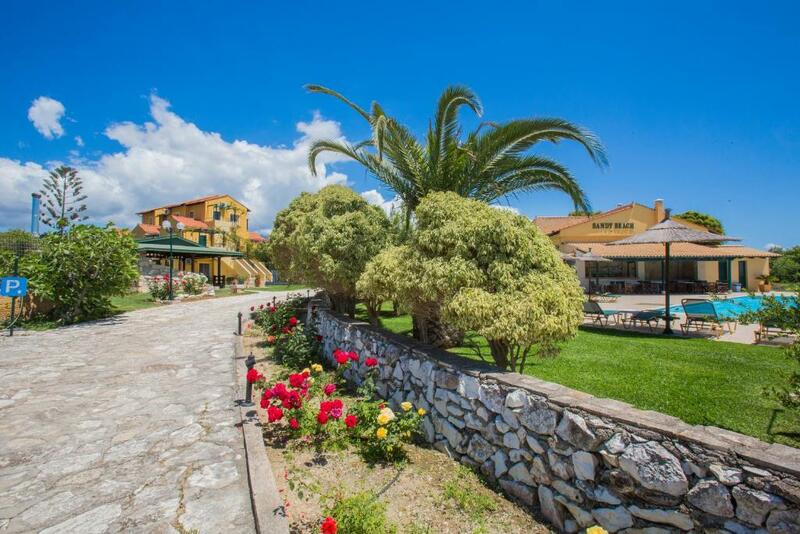 la struttura e' bellissima con un giardino curato ed una bella piscina pulitissima.Mario,la sua famiglia e il suo staff accoglienti e gentilissimi.Le stanze vengono pulite , riordinate ogni gg con cambio asciugamani.La cucina e' fornita di tutto e c'e' un tavoliono con siede sia sul davanti che sul retro della stanza oppure un bel balcone. Lugar muito bonito e tranquilo. Piscina ótima. Bem próximo praia Ammes. Apartamento enorme com cozinha completa e sacadas. Proprietários Mario e Natasha são muito simpáticos e atenciosos, realmente demonstram prazer em receber. Inclusive tivemos uma noite de comida grega preparada por eles e compartilhada com outros ótimos. Muita vontade de voltar a passar mais tempo lá. 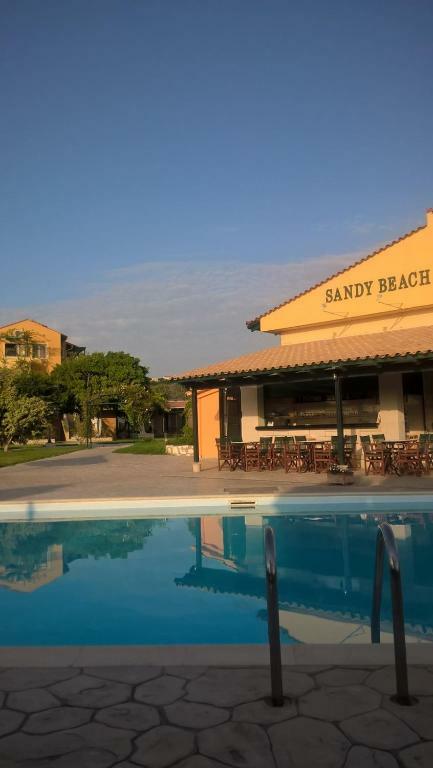 Lock in a great price for Sandy Beach Villas and Apartments – rated 9.1 by recent guests! Amid lush gardens 150 feet from the Blue Flag Ammes Beach in Svoronata, this property features a pool and poolside snack bar. 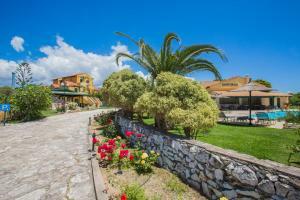 It offers accommodations with free Wi-Fi and balcony or patio overlooking the Ionian Sea or the garden and mountains. Featuring bright colors, each unit at the Sandy Beach Villas and Apartments has a kitchenette with fridge, dining area and cooking hobs. All accommodations types come with a TV. Greek breakfast can be provided on request, served at the property's pool bar. 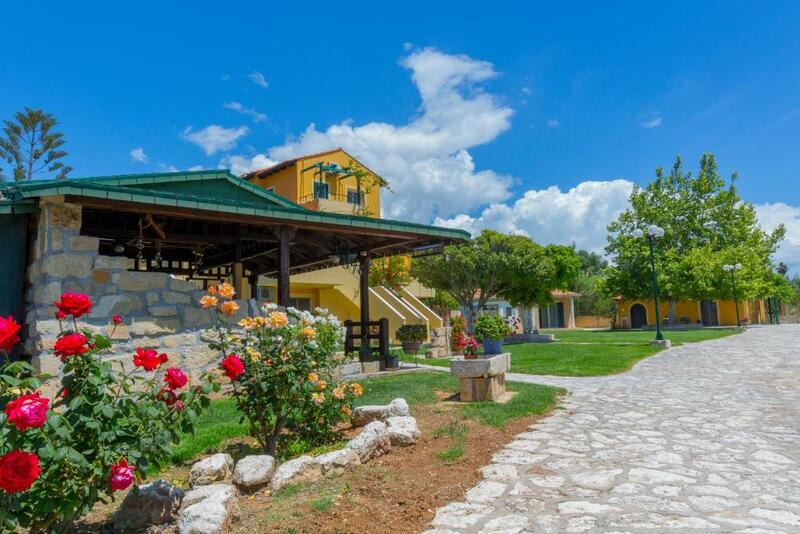 Upon arrival, guests are offered a glass of locally produced wine or tsipouro, while children are offered a glass of juice. The property can arrange BBQ events with fresh, local meat and vegetables upon request at extra charge. Boat tours and excursions can be arranged at the Sandy Beach’s tour desk. Argostoli Town is 5.6 mi away while the airport is just 0.6 mi away. Free, private parking is possible on site. 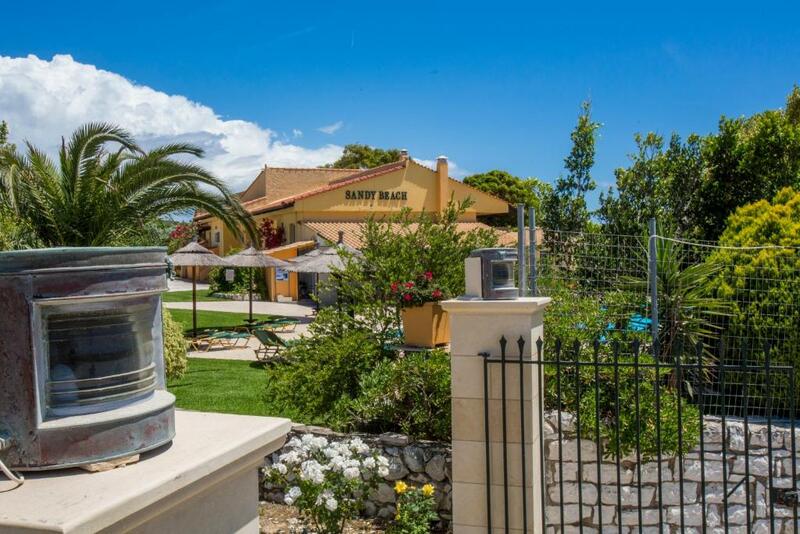 When would you like to stay at Sandy Beach Villas and Apartments? Just 164 feet from the beach this ground floor apartment features free Wi-Fi and patio overlooking the garden. Features a kitchenette with fridge and dining area. Includes a TV and air conditioning in the bedroom. The apartments are located on the ground floor with access to a garden. Please note that a washing machine is available, and its use is subject to extra charges. This independent bungalow is 164 feet from the beach and features a seating area, free Wi-Fi and patio overlooking the pool or the garden. Includes a kitchenette with fridge, a dining area and a TV. 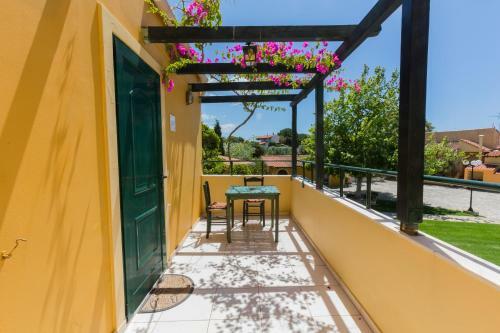 Just 164 feet from the beach, this apartment features free Wi-Fi and a patio with garden views. Features 2 en-suite, air conditioned bedrooms, a kitchenette with fridge, a dining area and a TV. This studio features air conditioning, patio and private entrance. House Rules Sandy Beach Villas and Apartments takes special requests – add in the next step! Sandy Beach Villas and Apartments accepts these cards and reserves the right to temporarily hold an amount prior to arrival. 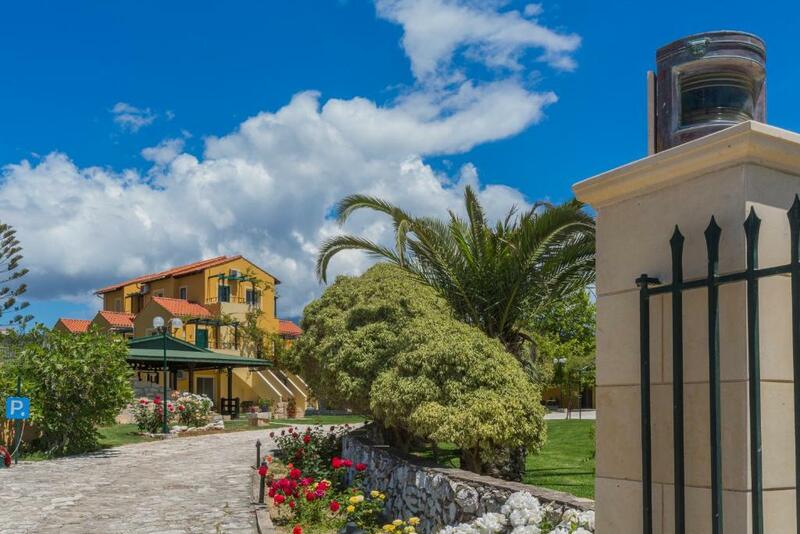 -As there is no 24-hour reception, guests are kindly requested to provide the property with arrival details such as flight number, ferry arrival time at time of confirmation of booking. Please keep the hotel's telephone number when traveling to inform of any change in your arrival. Please inform Sandy Beach Villas and Apartments of your expected arrival time in advance. You can use the Special Requests box when booking, or contact the property directly using the contact details in your confirmation. The cost of barbecues at 30 euros (35 euros for fish BBQ) per head was very expensive & needed better, clearer advertising. The lecherous owner and his wife were over bearing to the point we avoided them for the length of our stay (I'm a single parent with 2 small children). Felt totally over charged for the couple of drinks we had at the pool bar that was rarely open in the height of summer! All a bit disappointing....although the location of the accomodation was good, close to the beach. Afraid I wouldn't recommend this place. We personally found a lack of choice of good tavernas in the area, 'though we did eat at a couple and found them to be fine. We were happy to have hired a car ( from airport & pre-booked) in order to go further afield to find better restaurants, just brace yourself for narrow bendy roads, especially when driving at night!